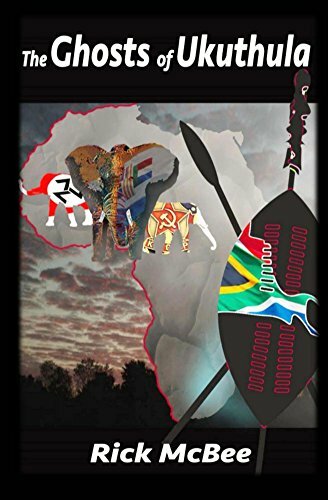 Rick McBee's Writings to Enhance your Life – Page 2 – Explore ideas and books on Africa, the Caribbean, the Civil War, my Photography, Book Reviews, Opinions and More! This book is probably the best I have read for elucidating the role and experiences of women at the end of the colonial period in Kenya. It shows the independent spirit of the women who ‘went out’ to Africa and how that independence could run contrary to the colonial views of how women should behave and act, not just Kenya, but in all the colonies when it came to mixing with the ‘natives’. I understand her passion for the African continent, having lived and worked there myself in my own contrarian roles. McVeigh has taken the role of telling the life of Rachael who returns to Kenya to live with her father and stepmother ion their bush farm. The book is sensitive to Rachael’s having grown up with Kikuyu friends as a child and having run and played with them for years while growing up on the farm. Now, seeing them in a different light through the eyes of a grown woman, she is drawn to them due to her childhood memories, while being chastised for doing so by her stepmother and the other women who are set in their colonial mannerisms of keeping black Africans in their place. Racheal’s life of colonial tranquility and clandestine love affair with former servant, Michael, reveals within her a mixture of contrasting emotions that cannot be resolved without tragic consequences. The aura of fear, abject terror and horror at the atrocities to which Rachael is exposed, both through rumors and actual experience begin to tear her apart in her effort to continue her love affair with Michael. The reality of her being sent to an insane asylum for living out a pathway in life that contradicts a tightly normed colonial mentality is something that our twenty-first century brains have a hard time grasping. At the same time, thoughtful readers will understand that this rigid adherence to and backlash to protect a dying lifestyle is something we are experiencing in our own country even today. Absolutely top notch writing and a book I would certainly pick as one of my very best reads of the year! That’s Richard Headley Clow in the header picture. At 17 years of age he enlisted in the Union Army to fight at Petersburg and the final battles of the Civil War. Stationed at Fort Hayes outside of Petersburg, Richard Clow was in the first troops to enter Petersburg when it finally fell. The fortitself is long gone, but a few ramparts remain under the blackberries. Named After General Alexander Hays, nicknamed “Fighting Ellick” was killed on May 5, 1864 in the Wilderness so the fort was named after his demise. Built with a central pit and sites for 2 cannon, the fort was a part of the long North-South line that kept the Confederate troops from receiving any support by sea. Thus when the railway was finally cut, they were doomed and had to retreat from Petersburg towards Appomattox. At the front of the fort would have been a pit to prevent troops from crossing without being exposed to cannon and musket fire. If you were a Confederate approaching Fort Hays it would have looked much like this! Note that cannon muzzle between the sandbags. If you were with the Union Troops, your view would have been much like this. With a clear swath of killing ground in front of the fort. Remeber that most of the trees were long gone al around Petersburg by the beginning of 1865 due to cutting for firewood, blasting to clear ground and constant cannonades. “Rough Enough” traces Richard Clow’s life journey to the battlefield, letters to his sisters from Petersburg and then following the war traces his journey west to Montana in 1867 to build forts and fight in the Indian War against the Sioux and Cheyenne at Fort Shaw, Camp Cook, and Fort Buford. His emplyment by the frontier sutler, Charles Larpenter, and life with that family are covered in some aspects of his diary which continues onto Deadwood, South Dakota and the gold rush in 1876-77 where he struck it rich. Hope you enjoy the book! Happy Holidays! My 2018 holiday giveaway period for my historical fiction novel, The Ghosts of Uhuthula, is almost over. At 12 midnight tonight, November 27, 2018, the coach will turn back into the pumpkin! Get it here – Free! Recent History of Southern Africa. The Black African Liberation Movement that brought down Apartheid. Historical Fiction that brings to life a period most people are ignorant of. An African Hero for African Peoples. The life of Nelson Mandela and Liberation Theology. The manipulation of African Politics by outside governments. Then this is the book you will want to read. You can also get it here! This is a fast-moving firefighter book with a twist that may not be as rare as we would like to think. When a firefighter pulls open the door to a burning house, car or barn they have no way of knowing they aren’t walking into a hell-hole of a some psycho’s chemistry lab gone awry. What happens when this is a chemical so deadly and secret that it gets you killed to even know about it or try to investigate the deaths it causes? An ordinary winter pileup in the Pacific Northwest is sorted out by responding firefighters. It’s only in the ensuing weeks and months that these same firefighters begin succumbing to a ten-day illness. Invariably, they descend into a vegetative state. Jim Swope picks up on the symptoms of his fellow firefighters as they either die by suicide or are interned into institutions. When Swope comes down with symptoms, he doesn’t go down easily. As the symptoms creep through his body, time is running short. With Doctor Stepanie Riggs, he finds a lead in the case sending him on a race for life, knowing that in ten days he will be just one more mental case, or dead. As he closes in, the holders of the secret attempt to frame and then eliminate him and his family in accidents which will be ascribed to his mental incompetence. Author Earl Emerson has done a superb job of showing us the hazards of the firefighter’s job. He has a great scenario for a story which is not far from reality. His descriptions of how easy it is for us to gloss over symptoms, or ascribe deaths to normal causes or suicide when no discernable symptoms of illness exist is scary! How easy it is for the big money, the big corporation, the big government, to cover up the big secret is also an eye-opener. Enjoy reading this. It’s a quickie, but very thoughtful and worth-while. When I think of chemicals and waste products that cause human cancers, deformities, life-threatening illnesses and such, I think of Erin Brockovich and her quest to stop the release of hexavalent chromium into the environment. Author Michael Palmer is right up that same alley with his work of fictionalized characters in an all too real world of West Virginia mining and the release of all sorts of really noxious waste into the streams, valleys, and atmosphere of what could be a really beautiful section of our country. Matt Rutledge is the doctor who gets thrown into the puzzle by accident when he goes back to his beloved hill country following the death of his wife, Ginny. There, in the county hospital, he encounters for the second time a set of strange symptoms which lead up to the development of fleshy lumps on the skin called neurofibromas followed by psychotic behavior leading to the ultimate death of the patient. In the ensuing weeks, as one thing leads to another, our doctor deduces that the Belinda Coal and Coke Company which controls all the mines in the area doesn’t seem to want any publicity of the strange deaths. The company is also hiding deadly waste in old mines and has covert links to a vaccine manufacturer named Omnivax which is coming under congressional scrutiny for deaths attributed to their vaccine for hemorrhagic Lassa fever. When Matt’s girlfriend Nikki stumbles onto further connections between the strange neurofibroma deaths, immunization sera and leached mountain chemicals in the area of Montgomery County, the two of them are targeted for elimination by the corporate schemers. They go on the run with Nikki barely escaping death after an accident and being treated by a doctor in the pockets of the coal company. They have to find the final link and the proof to stop what may become an epidemic of spongiform encephalopathy caused by the synergistic reactions of persons to the contaminated water and the vaccinations they need against diseases. It’s a well-woven tale, with very plausible characters, descriptions of rural West Virginian living conditions and misguided rugged individualism which allows them to be exploited by the corporations that dominate and control their lives. Read the book and apply the lessons to your own hometown. We are all being affected by the dumping of wastes into our streams and atmosphere as well as the chemicals we use to treat our fruits, vegetables and kill our weeds. Something scary could come with the next bite of the apple.